Are you interested in growing your digital marketing or business career. How about your skill set, income, and frame of mind? 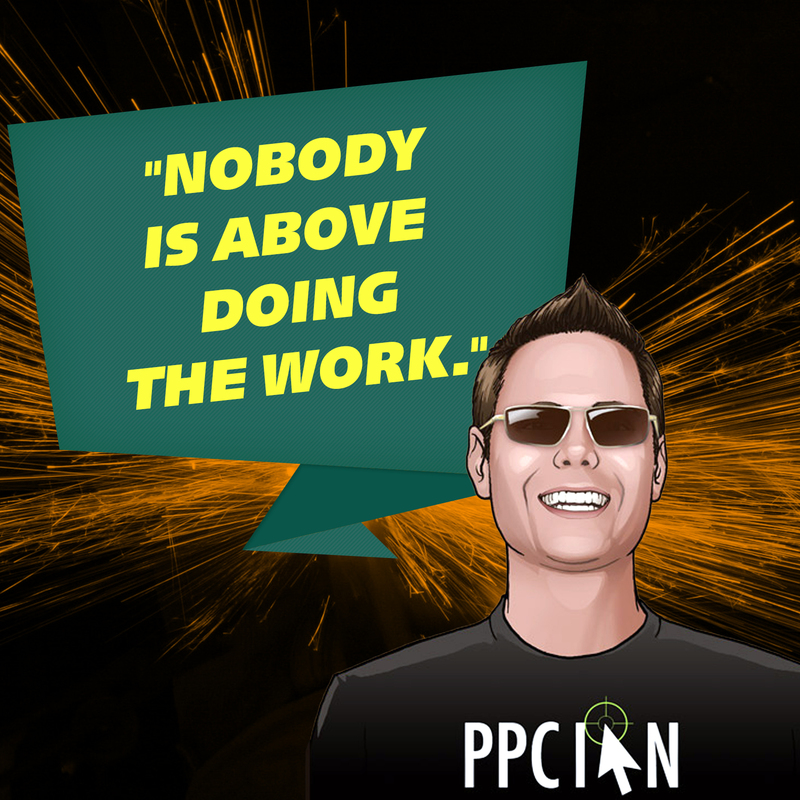 I’m thrilled to share my very own motivational quotes, PPC Ian style. The below quotes are a compilation of my personal insights as a business executive and leader. They encapsulate my own frame of mind and lessons, from many years of hard work and dedication. Whether you are just starting out in business or are a seasoned pro, I’m sure you will pick up an idea or two by browsing my quotes below, and the meanings behind them. Also, please make sure to bookmark this page and check back regularly. I’m adding new quotes each and every week. You will also be the first to see my new quotes if you Follow PPC Ian on Instagram. The below quotes are in reverse chronological order, so the latest and greatest ones are right at the top. 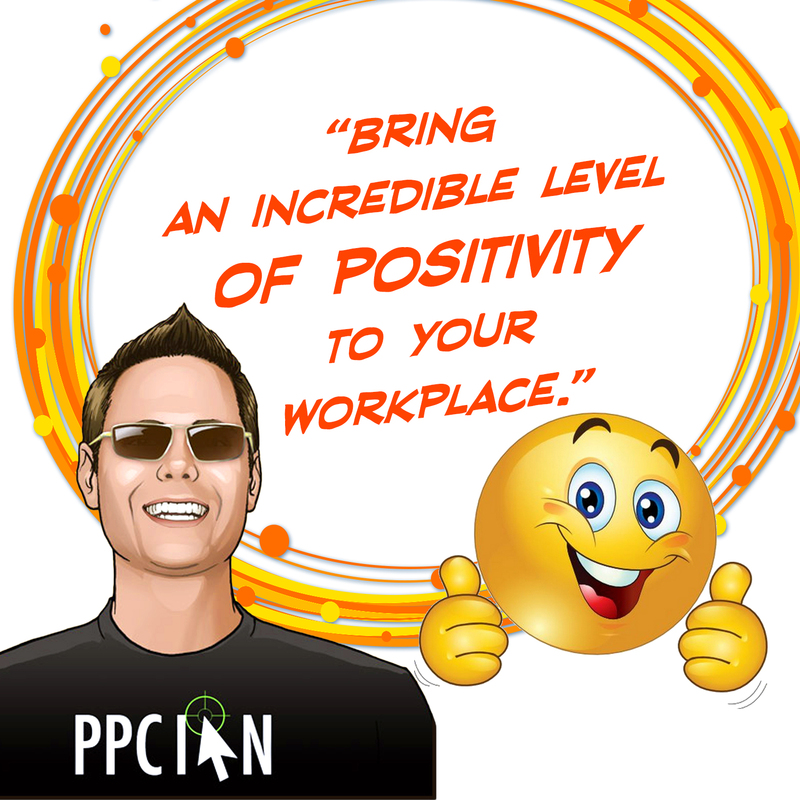 Quote 38: Bring an incredible level of positivity to your workplace. Positivity is a powerful force. Much of my early success (gaining the responsibility to manage large teams early on) can be attributed to the power of positivity. 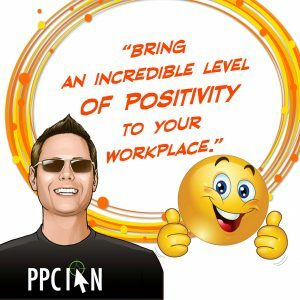 In fact, one of my early managers regularly commented that my level of positivity was rare and that people throughout the organization had taken notice. It spreads. It inspires confidence and drives results, in yourself and in others. As someone who is always looking to help others, I view positivity as one of my favorite attributes. Of course, I’m not perfect. I can always improve. I can find ways myself to be even more positive. Some questions worth considering: How can you be more positive? How can you bring even more positivity to your workplace? Think about this each and every day, and you will make the world a better place. 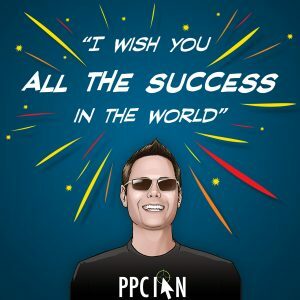 Quote 37: I wish you all the success in the world. I started PPC Ian to educate and empower. My blog is really an extension of me as a person. I love helping others and approach each and every day with the goal of creating positive impact in the lives of many. I thank you for reading my blog and I truly wish you all the success in the world. If there is anything you’d like to see here that would help you out (in your career, in your life), please let me know. I also want to encourage everyone reading to take this same approach. Who can you help today? 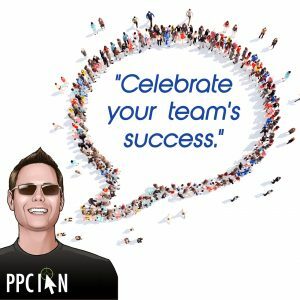 What can you do to create success in others? The more good you can do for others, the more growth you will see in your own life. 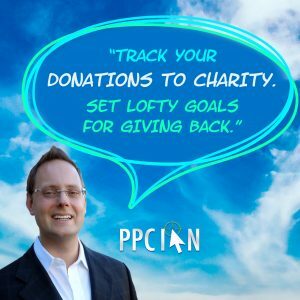 Quote 36: Track your donations to charity. Set lofty goals for giving back. It greatly motivates me, it’s so empowering to give. By tracking, I have a positive reminder that I’ve made a real difference. I’m able to set the bar high. I’m able to strive to donate more and more over time. I’m a true believer that we’re all placed on this planet earth to give back. One way we can all give back, especially those of us fortunate to have great careers, is via regular donations to charity. What are your favorite charities? Quote 35: Who says you have to work from your desk? Inspiration comes from changing up your workspace. I like to hire people I trust (see Quote 32). When your team and company are built upon a framework of trust and honesty, I believe that everyone deserves some flexibility in their work environment. 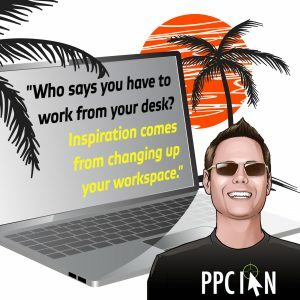 When it comes to getting stuff done, generating cutting-edge ideas, and being as productive as possible, I have personally found that I just have to change up my workspace. Sometimes I’ll work late at night at home with rap music blasting in my headphones. Other times, I’ll be in a conference room at the corporate office. I often find inspiration and get tons of work accomplished at the airport. Yet other times, I’ll be at my local Starbucks drawing inspiration from the fact that others are there and I’m in a more social and friendly environment. I also enjoy working out of our fitness club (they have a business center there). Many times, I’ll mix and match these options throughout the course of one single day. Positivity and happiness ultimately drive results. For me to be happy, I need the right environment when I’m working. I encourage you to mix up your work environment and try new things. Managers who are reading: Please consider offering flexibility to your team. 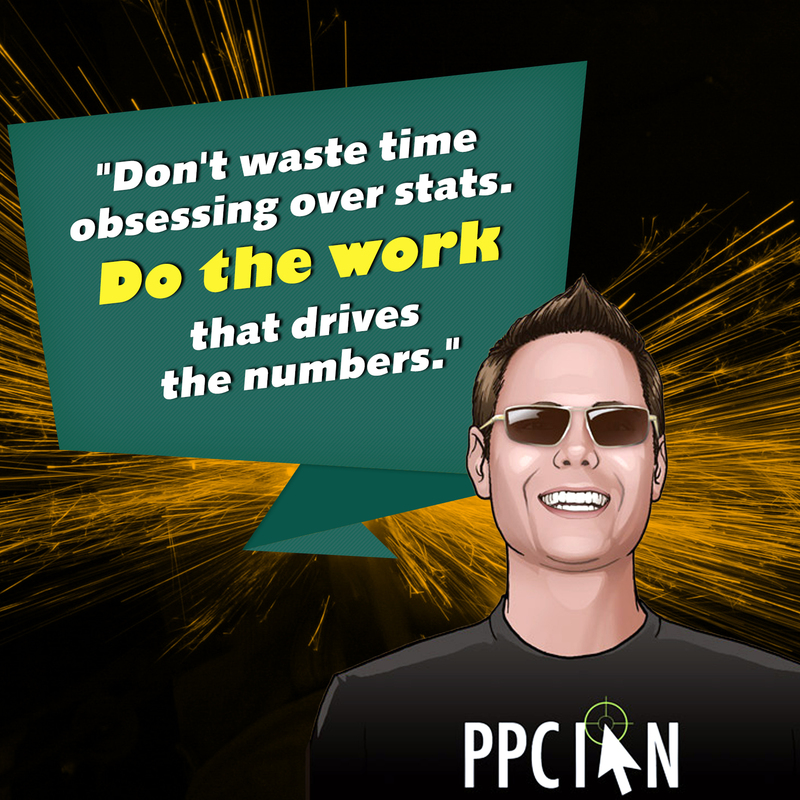 Quote 34: Don’t waste time obsessing over stats. Do the work that drives the numbers. In modern business, I believe we suffer from information overload. We have dashboards for everything. We have real time stats. We have big data! As someone who is analytical by nature, I sometimes get drawn into the stats and just have to check them. I sometimes waste time checking the numbers too frequently. This quote serves as a reminder to myself and all of you that it’s healthy to check the stats and know your numbers. However, that practice ultimately does not drive the business forward (unless you are looking for strategic insights that will fuel growth or are diagnosing a problem). If the stats look good, it’s far more beneficial to your company to just focus on the work. Focus on the work that will drive those stats forward, to the next level. As a bonus tip: It’s amazing how much you can get accomplished in a reasonably short amount of time. I personally like to take advantage of Surges In Energy. I sometimes like to "lock&qout; myself in a conference room so I can focus on the work with no distractions. It’s all about getting the work done! 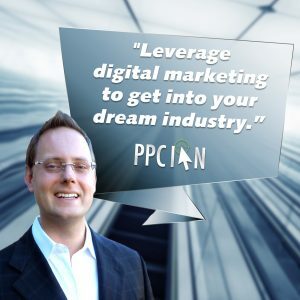 Quote 33: Leverage digital marketing to get into your dream industry. 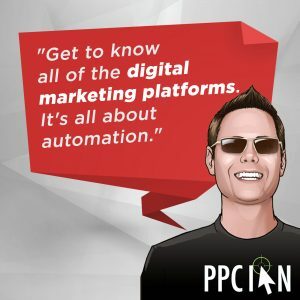 In my opinion, digital marketing is the best business foundation around. You get to learn so many skills across so many disciplines. 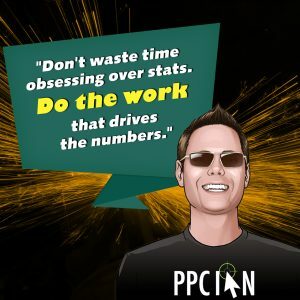 In any given day, the digital marketer could build complex Excel models, write brilliant creative, negotiate contracts, manage operations to get invoices paid, coach global teams of professionals, drive revenue growth, and so much more. It’s like running your own mini-business within your business. I personally believe that the CEOs, COOs, CTOs, and CFOs of the future will have roots in digital marketing. This quote is all about embracing digital marketing and acquiring the amazing skills it offers. Then, it’s about taking that next step in your journey, pursuing your dream industry/career. (Of course, it’s also ok to stay in a pure-play digital marketing role if that’s what you love the most.) Want to learn more about my philosophy here? Check out my YouTube video titled From Digital Marketing To Dream Career. 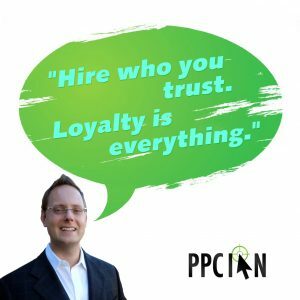 Quote 32: Hire who you trust. Loyalty is everything. As someone who’s managed a multitude of high-performing teams over the years, I have come to realize that greatness does not happen overnight. It can take years for the compound interest of the team’s effort to truly pay off. I like hiring those people who I trust, and those who will be loyal to their team and company. I know that those employees will have the largest impact on results. Similarly, as a manager and leader, I will do everything in my power to add great value to those loyal, honest team members. I realize that there are many employment options out there, and those that stay and add the most value should be rewarded. 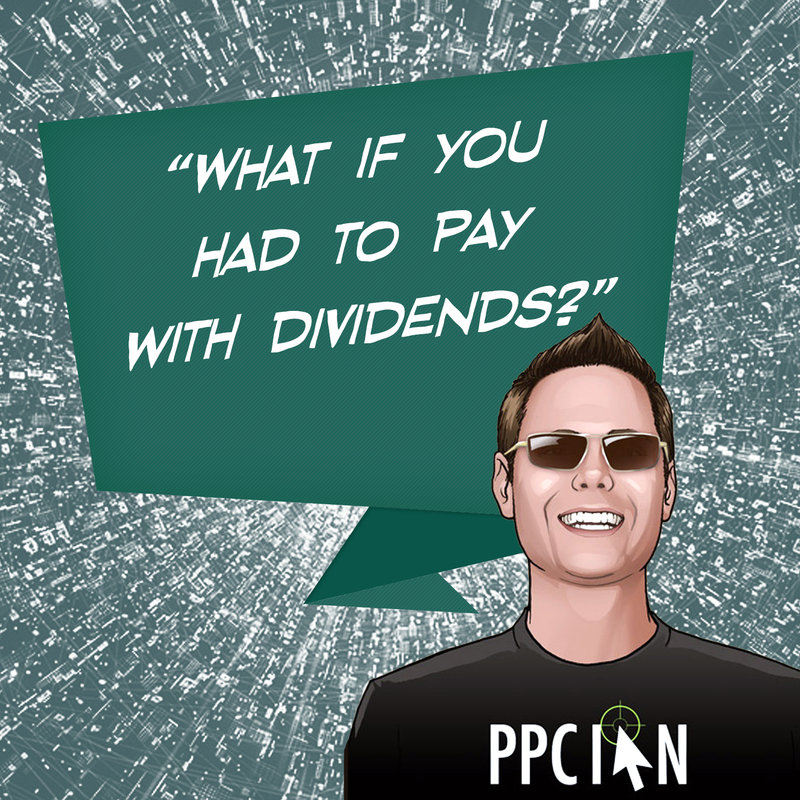 Quote 31: What if you had to pay with dividends? If you’ve been reading PPC Ian for awhile, you probably know that I love personal finance, especially dividend-paying stocks. This particular quote embodies my personal finance framework. Before making any purchase in life, I like to ask myself this very question: What if I had to pay with dividends? How much would I need to invest at a 3% yield to fund this purchase? Is it worth it through that lens? The theory behind this particular quote gets quite involved and quite powerful. In fact, I wrote an entire blog post about it, and encourage you to check it out! 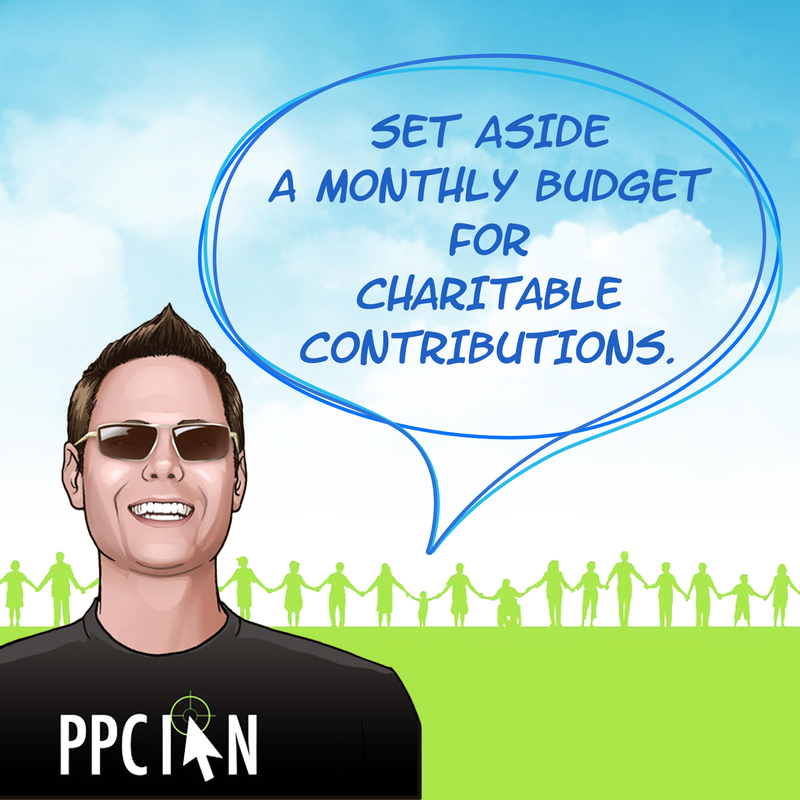 Quote 30: Set aside a monthly budget for charitable contributions. This quote ties nicely into 28. When I look at the long term, my legacy, I quickly arrive at the conclusion that it’s all about giving back and helping others. You can give back in many ways: Donate money, donate time, become a mentor, help random people, and more. As a busy professional, I always wish I could do even more! Time is so limited. I have personally focused on charitable contributions, on an automated/monthly cadence, to add lasting value to our world. More than helping those in need in the short run, my monthly charitable contributions are fuel. They fuel me to work harder and smarter. Others are counting on me, and I want to be able to give even more. Quote 29: Nobody is above doing the work. Whether it’s your first day at work or you’ve been working 20+ years, be prepared to do anything. Are the floors in the kitchen dirty? Even the CEO should be prepared to roll up his/her sleeves and clean. Nobody is above the work. We are all part of the same team. A humble strategy offers two main benefits: (1) It resonates with others and builds a true team culture. (2) It creates change in yourself and forces you to be a better teammate and person. 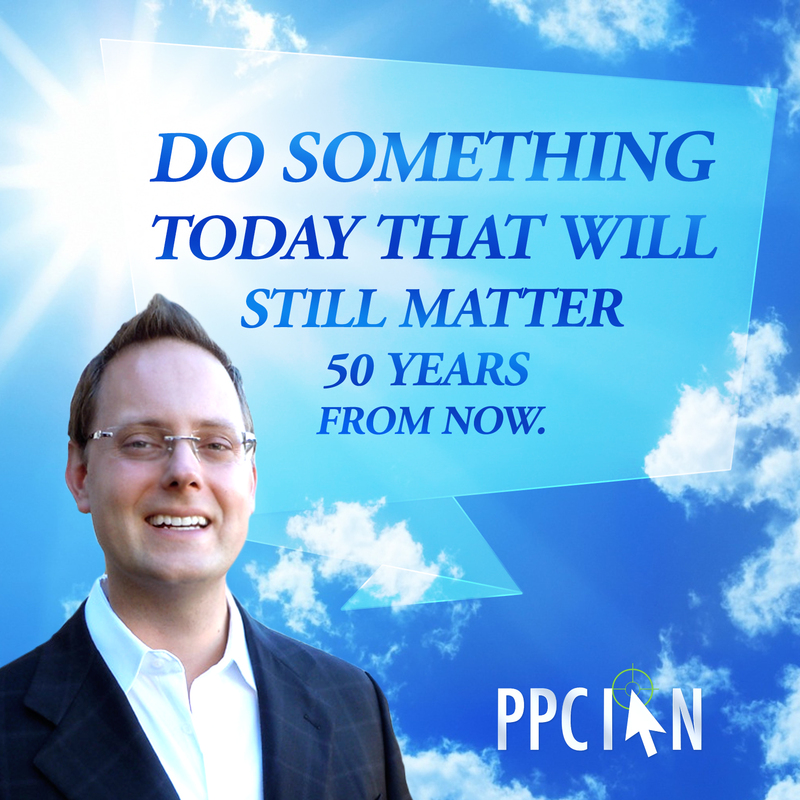 Quote 28: Do something today that will still matter 50 years from now. This quote was completely inspired by our Pastor. I’ve been thinking about the really big picture over the last few years, especially from a spiritual standpoint. Think about your goals. Think about your legacy. Can you work on projects today that will be incredibly meaningful 50 years from now? Use this lens to frame your priorities. Think about spirituality, charity, family, and helping others. In business, pick your career wisely. 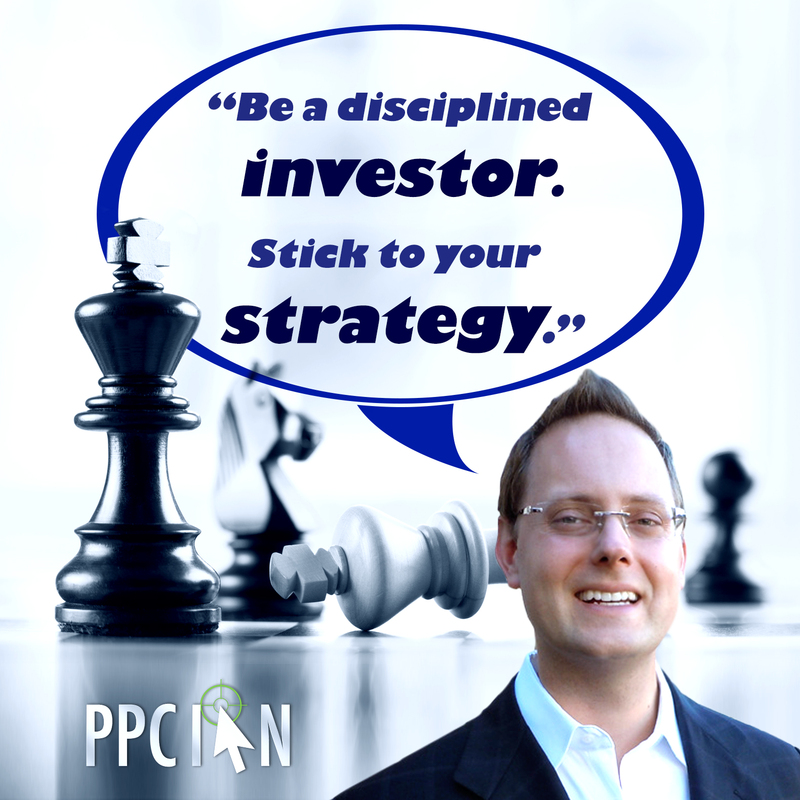 Quote 27: Be a disciplined investor. Stick to your strategy. There are many investments you can make in life: Money, family, career, business, health, happiness, knowledge, and more. I view everything in life through the lens of the investor. The best investors, in my opinion, pick a strategy and stay disciplined. When times are good, they stay the course. When times are horrible, they do just the same. 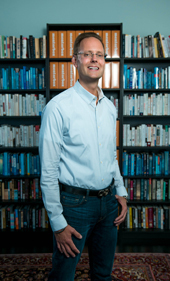 It’s just like being a leader: You need an unwavering, fearless approach to your strategy. What are your big investments in life? What is your strategy for each investment? Write down your strategies, and stay the course. The compound interest of life will reward you handsomely for your focus and persistence. 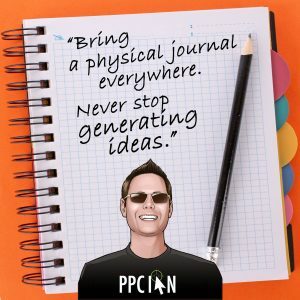 Quote 26: Bring a physical journal everywhere. 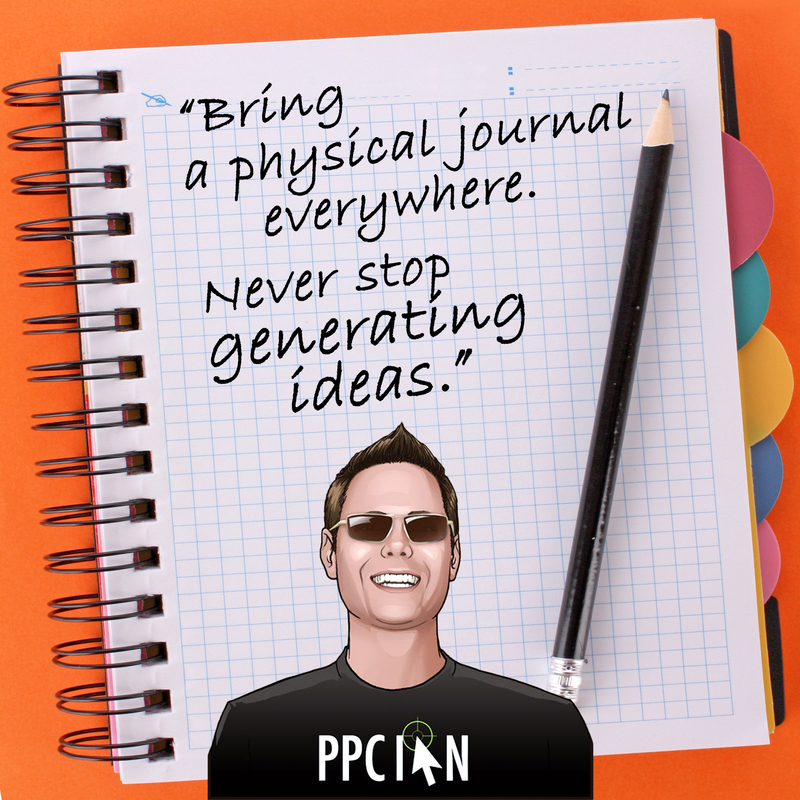 Never stop generating ideas. This is perhaps my favorite quote of the entire series. Over the last few years, I have been obsessed with taking detailed written notes. I always have a journal on me. Ideas come 24/7 and I don’t want to lose any of them. When I’m feeling inspired, I want to always have a journal ready to capture my thoughts. More than that, however, the act of having a journal on-hand seems to make my day more exciting. I feel more empowered and come up with better ideas. While I do so much typing, both here on PPC Ian and for my career, there is something powerful about handwritten notes. Take time to leave the office. Take time to go on a walk. Find an inspiring place and start writing down your ideas. These are the ideas that will fuel your future. These are the ideas that take your life from ordinary to amazing. Bonus tip: Your journal should include anything and everything. Don’t just take notes about your job. Look at the big picture, focus on your dreams. 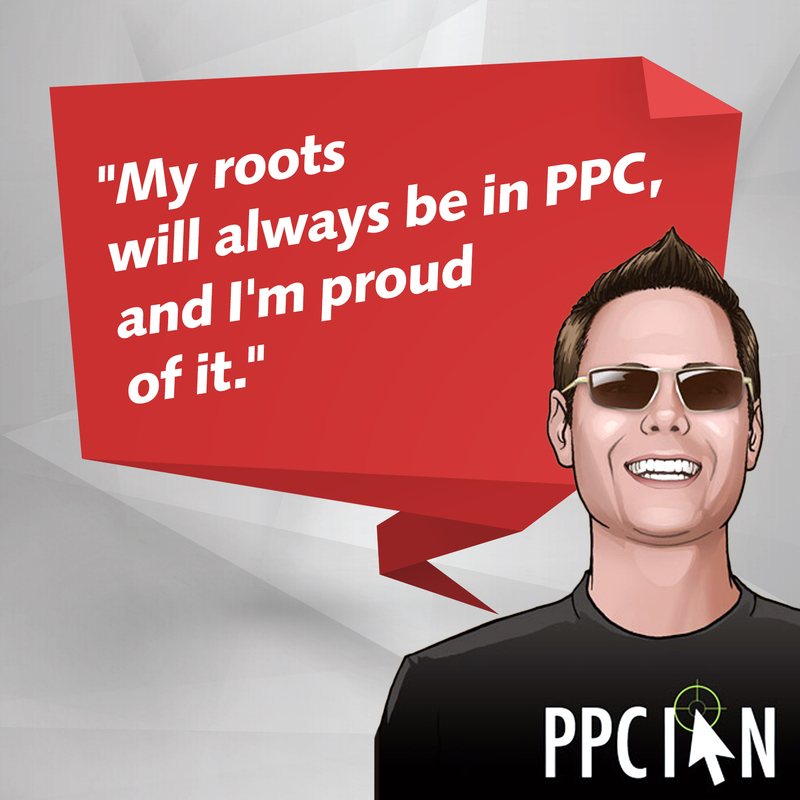 Quote 25: My roots will always be in PPC and I’m proud of it. Some people wonder if I’ll ever change the name of my blog. 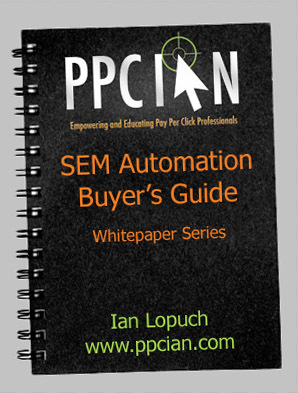 After all, I don’t practice PPC every day anymore. My responsibilities have changed, they have expanded. Well, my roots are in PPC and I’ll always be PPC Ian. I am proud of my roots because they have set me up for amazing success and career growth. I am humble and respectful of my roots. My advice to everyone: Even during times of rapid career and life growth, always respect your roots. Your roots shaped who you are. 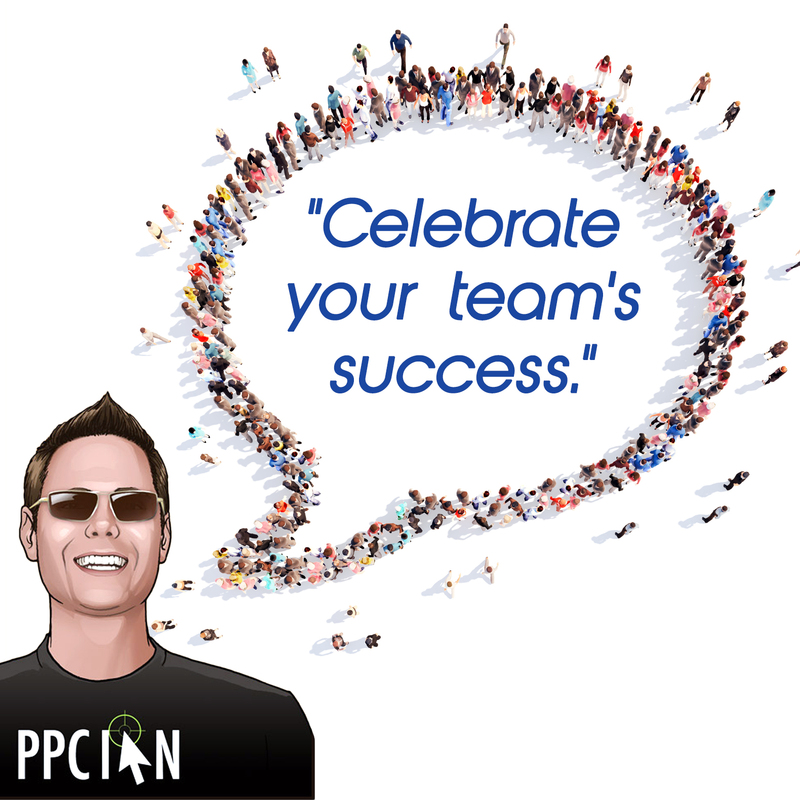 Quote 24: Celebrate your team’s success. Business is a team sport. Even if you are a scrappy entrepreneur, an operation of one, think about all of the consultants and freelancers on your side. No matter how small or large your team, the team is everything. Take time out of your day to celebrate. Take time to recognize achievement. This is a great way to motivate and empower others. It’s also a great way to give everyone much needed time off. 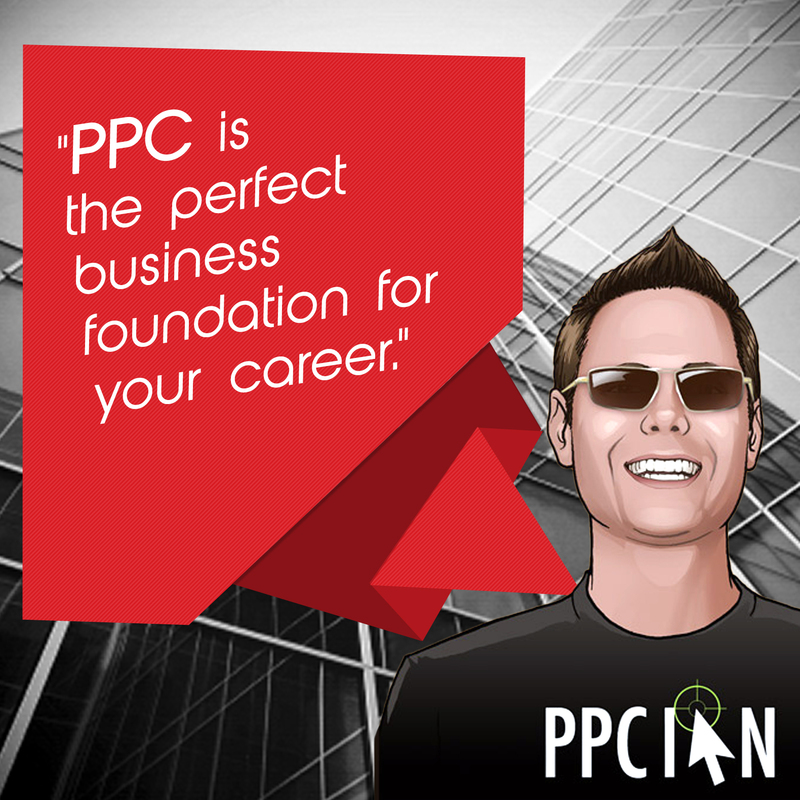 Quote 23: PPC is the perfect business foundation for your career. 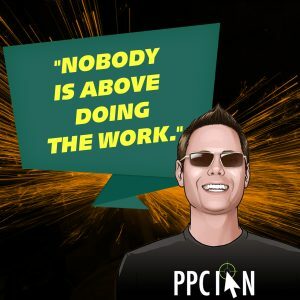 I get many readers here at PPC Ian that are just starting out. Perhaps they just graduated college or they’re making a career shift. They want to know what’s next. If you’re in this situation and want to build a long-lasting, thriving career, I highly recommend starting with PPC. 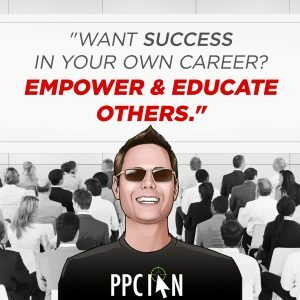 As a true multi-disciplinary career, PPC teaches critical skills in Excel, modeling, analytics, creative, strategy, contracts, collaboration, leadership, legal, and so much more. While I don’t personally practice PPC on a day-to-day basis anymore, the foundation that PPC created continues to be a key in my success. Quote 22: De-clutter & organize. 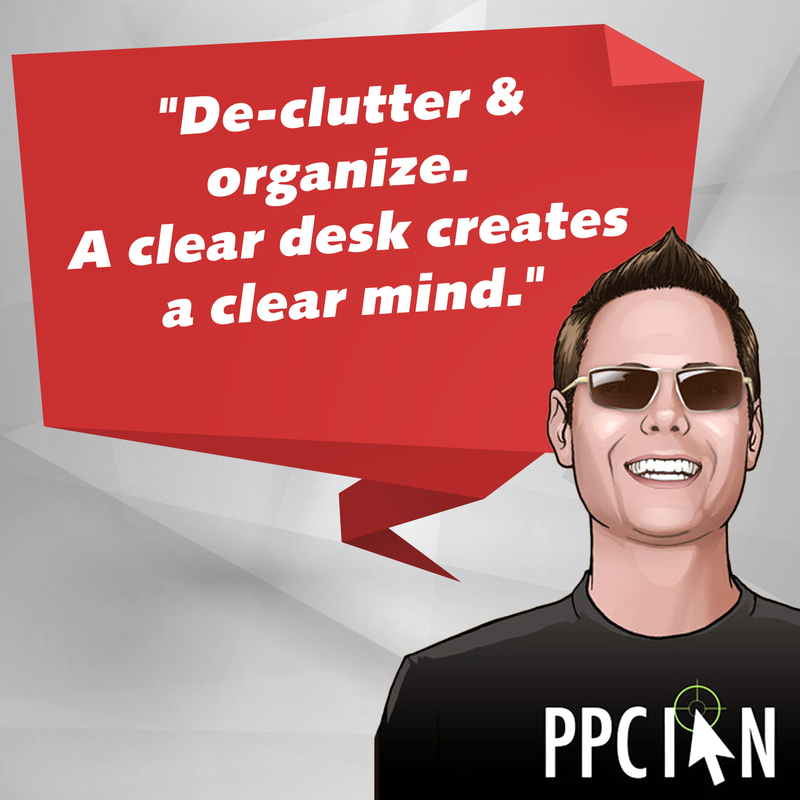 A clear desk creates a clear mind. I personally cannot think as well in a messy environment. Who am I kidding? A cluttered environment drives me crazy! I’m a big proponent of crafting beautiful surroundings. Whether it’s your office, home, or home office, take the time to de-clutter and organize before you even think of being productive towards work. That clean environment will fuel calmness, which will fuel results. A bonus tip: Sometimes you just don’t have time to clean. Things can pile up. However, you need to be productive. In that case, I recommend leaving your office and going somewhere that is clean and peaceful, such as your favorite coffee shop or park. I have always been all about my team. I truly care about others. I truly care about helping others stay motivated and advancing towards their career goals. In fact, that is one of the main reasons I created this very blog. I’m also a big believer that anything you give comes back to you many times over. It makes natural sense: Those that are rewarded are those that create the most value for others. My challenge to you: Take a break from thinking about yourself for a bit, and brainstorm how you can help others. You can improve lives while rapidly increasing your own career too. Quote 20: Travel and seek knowledge globally. Over the years, I have learned that offices can be great. With a central location, it’s really easy to collaborate with others. I have also learned that too much time in the same office location can stifle creativity, productivity, and growth. The genesis of this quote comes from my personal travels to exciting places like London, Paris, and Hawaii. And, also more routine places like the local park, Starbucks, or hiking trail. No matter where you travel, get out of your normal situation and move. Bring a book, a journal with pen, your smartphone, and computer. Stop at random intervals to get a variety of work and learning done. You will be amazed how quickly you grow in a non-standard work environment. When you travel, knowledge will come to you. Quote 19: Those of us in the digital marketing industry are truly lucky. This quote is all about gratitude. 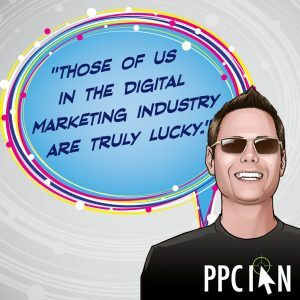 Whether you work in digital marketing or another profession, consider showing gratitude and thankfulness for your situation. Even on the most difficult of days, there is so much to be thankful for. In my opinion, gratitude is core to growth and success. Be thankful, humble, and excited for everything you have. And, before you know it, your sphere of influence will increase even more! 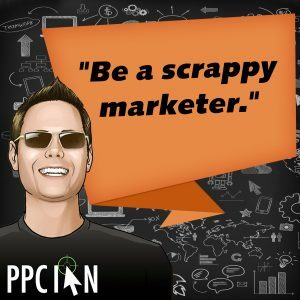 Quote 18: Be a scrappy marketer. Out of all my quotes, this is one of my favorites. There are two important concepts here. First, be scrappy. 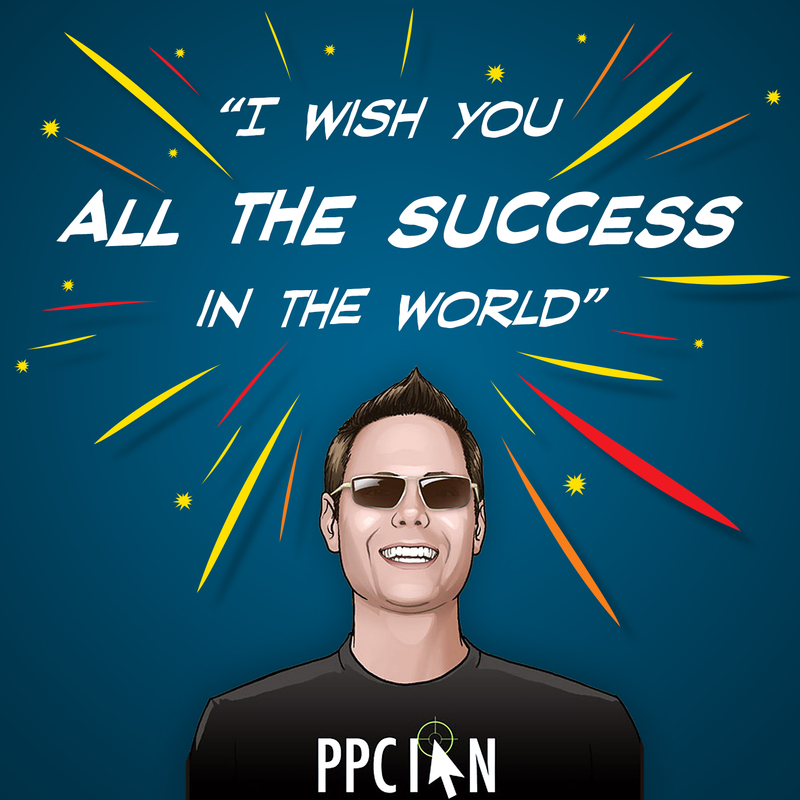 I like to embrace my inner affiliate marketer in everything I do. In business, time and budget can be limited. The scrappy professional finds workarounds that are both time-effective and cost-effective. Second, be a marketer. Even if you’re not a marketer by profession, everyone should be a marketer these days. The better you can market yourself and your work, the quicker you will gain results, recognition, success. 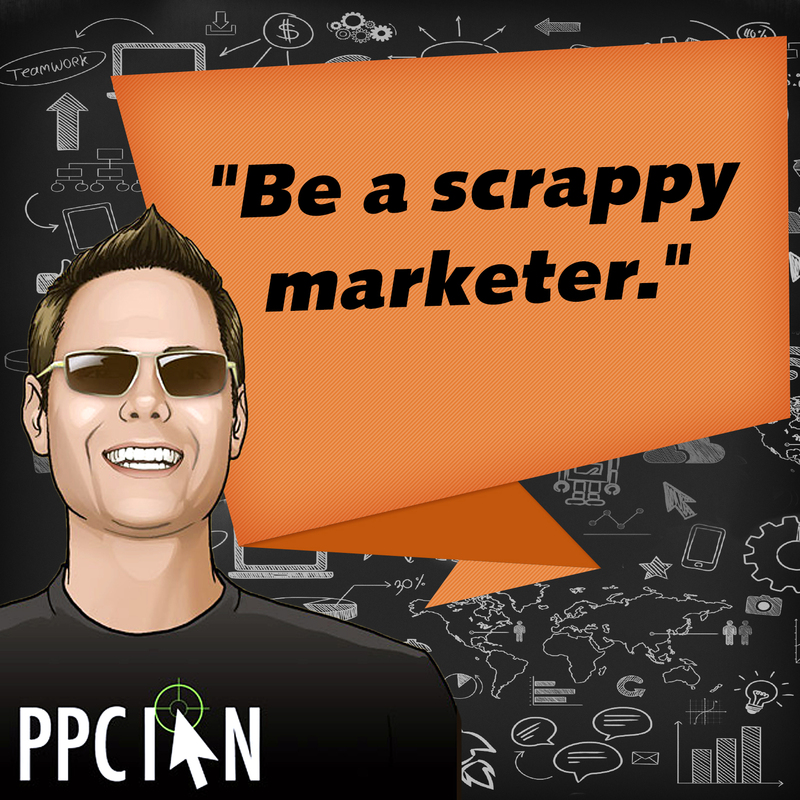 Put together "scrappy" and "marketer" and you have a winning combination. 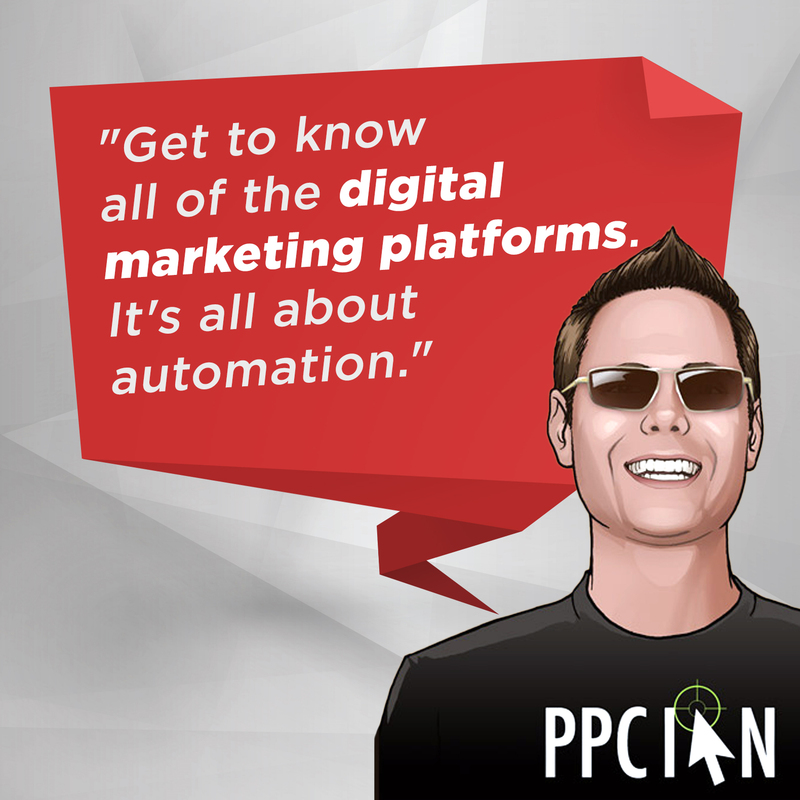 Quote 17: Get to know all of the digital marketing platforms. It’s all about automation. 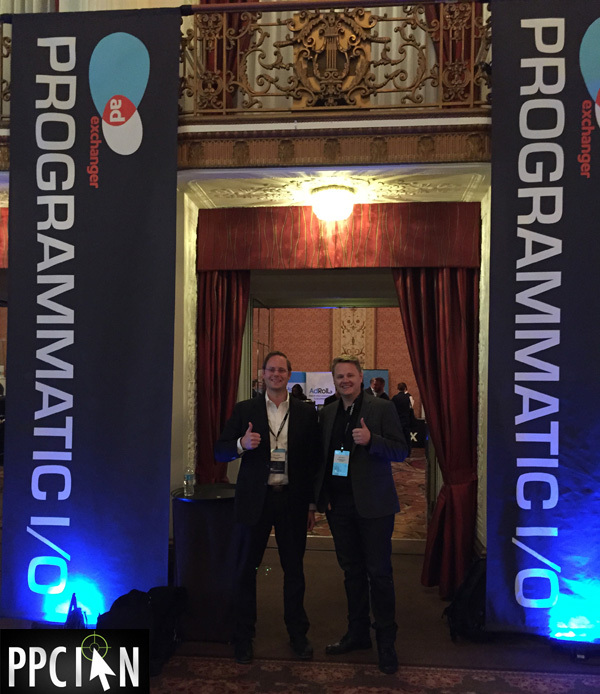 Whether you work in digital marketing, or any other industry, SaaS software is the future. I have long been a proponent of automating assignments that can more efficiently be performed by a computer. Why? This frees up human time for more thoughtful, creative, and skillful projects. It’s a delicate balance. You don’t want to automate everything and you certainly want to audit the automation routinely. Want success in your industry? Get to know all of the platforms and see which ones could best benefit your company. Quote 16: Be open to feedback. Stay humble. As somebody who is always looking to grow, I like to learn new things each and every day. 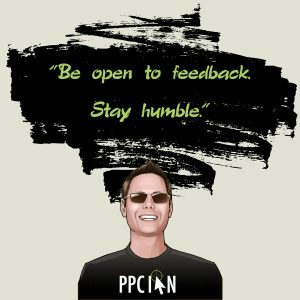 I have found that a humble mindset is key for receiving feedback and knowledge. While I have accomplished a lot, I should never let that cloud my judgment. An interesting case worth mentioning: Not all feedback is helpful nor constructive. Even in that situation, however, I like to stay humble and just take it in. That only benefits me (vs. getting frustrated at feedback I perceive to be non-helpful). My advice to you: Live these words and you will be happier and grow faster than ever before. Quote 15: Plan team charity events. Give back to your community. I’m big on giving back. It’s one thing to give money, it’s a whole other to give your time. As a leader, you are in a unique position to give your time and the time of others around you (your team). Schedule charity events and see your team’s leverage in action. I always enjoy community service events that benefit one’s local community. There’s nothing better than seeing your hard work improving your very own community. Team of one? Doesn’t matter. Get out there and work extra hard for your community. A team of one can still make an incredible difference. Quote 14: Stay on your grind. Never give up. This quote goes exceptionally well with the last one (Quote 13). At heart, I’m a scrappy businessperson and entrepreneur. 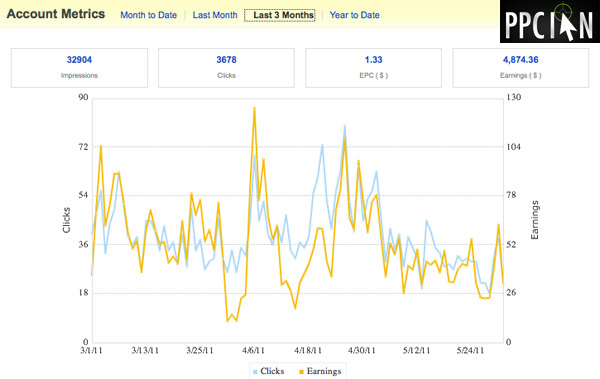 I subscribe to the affiliate marketing hustler attitude. I’m always on my grind. Even during holidays, you can find me running business experiments from my iPhone. I love this stuff. I will never give up. My advice to you: Pick something you truly love. When times get challenging, keep grinding and never give up. 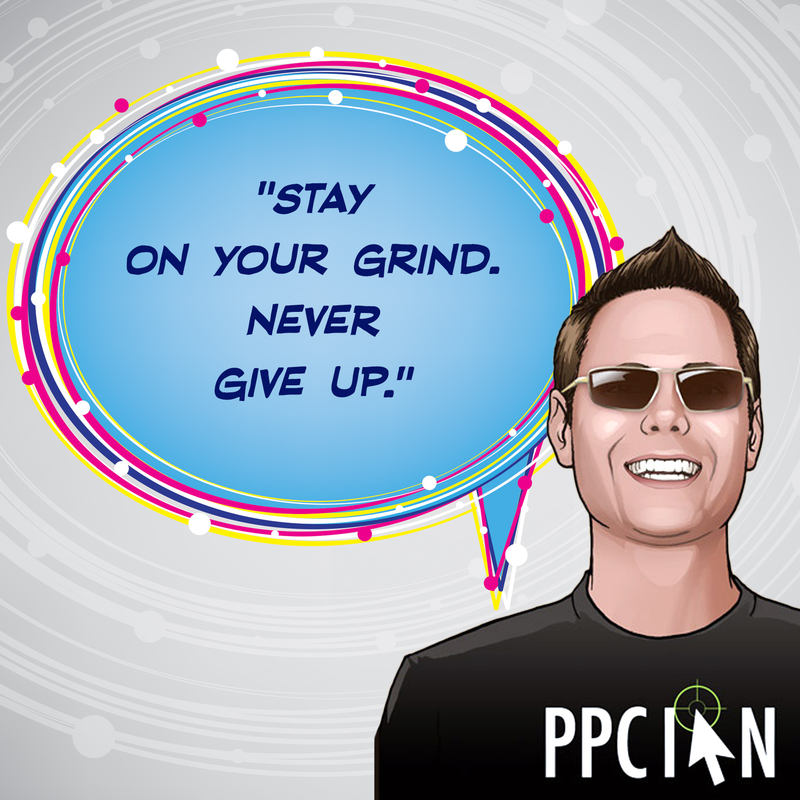 As long as you’re persistent and embrace your inner affiliate, you will eventually succeed. You might get there a different way than you originally planned, but you will get there. Quote 13: Don’t over-delegate. Do the work with your own hands. This is one of my favorite PPC Ian quotes, so make sure to pay attention! When you look at my personal management style versus others, this is one of my big differentiators. I take delight in doing the work with my own hands. Whether it’s high level analysis or simple data entry, I do it all. I’m not above anything! And, that’s the key statement. If you delegate everything, you cannot relate to your people, your team. And, your team cannot relate to you. The best leaders are also part of the team. Two other benefits of doing the work: (1) You stay up to date on all the latest trends and (2) you get to enjoy your passion (after all, you love the work you do, right?). No matter how big your team gets, always make time for the work, and set an amazing example for everyone (including yourself). 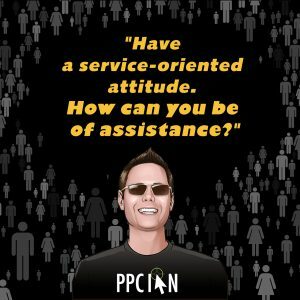 Quote 12: Have a service-oriented attitude. How can you be of assistance? I’m a big believer that we are all placed on this earth to be of service to others. 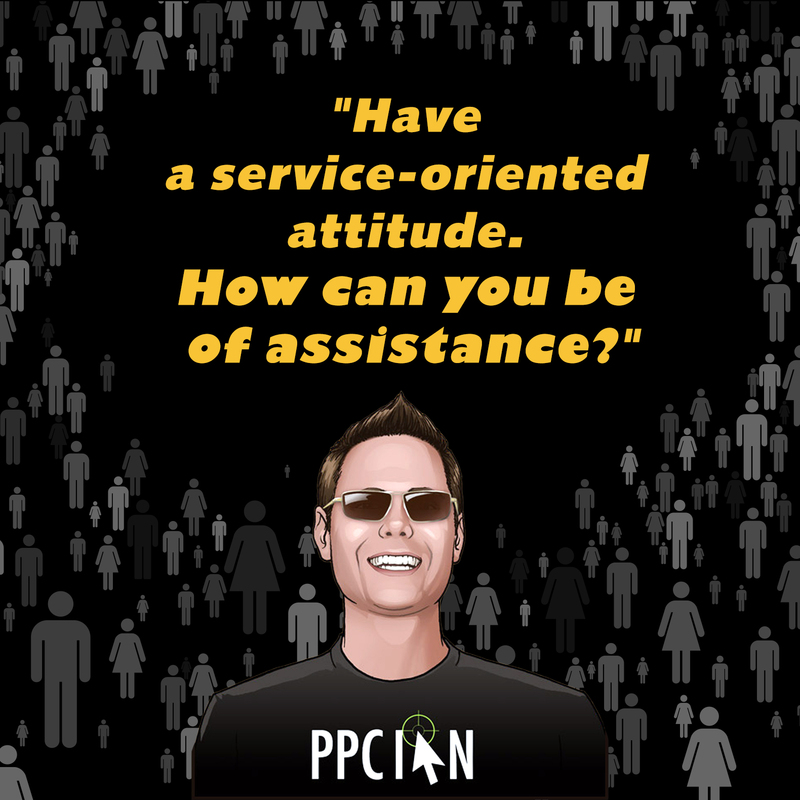 Whether you’re at work or on your free time, approach every situation with a service-oriented attitude. How can you make someone’s day amazing? How can you put a smile on someone’s face? The more you help others, the better this world becomes. The more you are of service, the more influence you stand to gain. It’s a snowball effect. Even during difficult times, don’t lose sight of your great attitude. Don’t let anyone derail your positivity. Quote 11: Speak at conferences. Give back to your industry. When you speak at conferences, you have an amazing opportunity to contribute with scale and leverage. You also have the ability to gain tremendously. Speaking at conferences is the greatest adrenaline rush around. It’s such a thrill to be up there on stage with hundreds of people in the audience. You better do a great job, everyone is counting on you! I love a challenge and I love pressure, so this is a winning situation for me. I really want to encourage you to speak at conferences. Even if you’re an introvert, don’t let that hold you back. You can do it. As part of your career development, I encourage you to shoot for at least one conference per year. Spend a lot of time crafting your presentation so you add immense value to the audience. Don’t forget, however, you are likely to walk away with as much or even more value than anyone. Quote 10: View your employer as an investment. Get equity. I am an investor at heart and view everything through the lens of an investor. 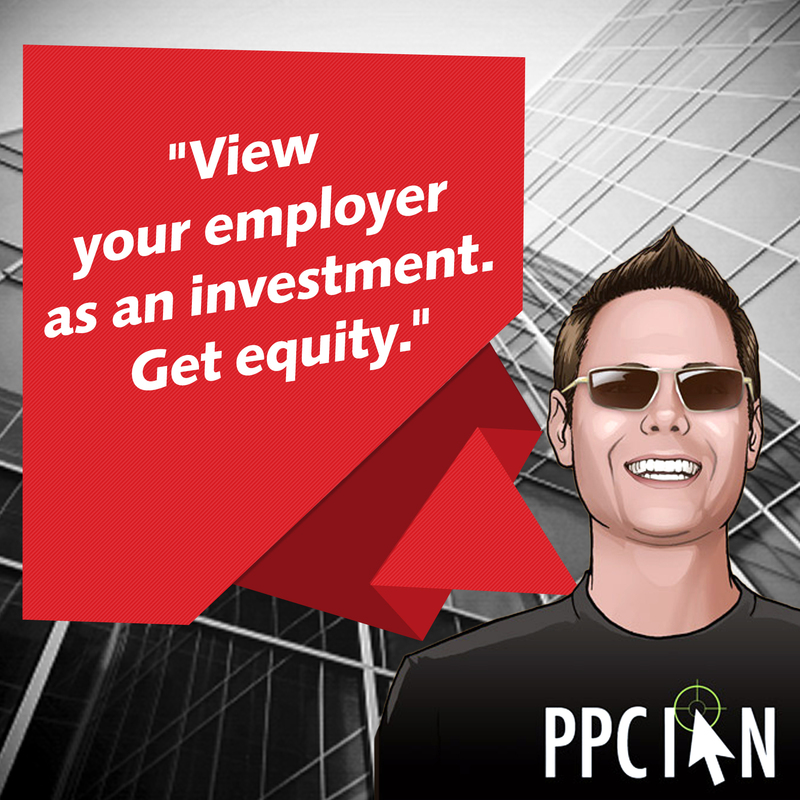 One of the strategies that has served me well in my career is viewing employers as investments, literally. Want to invest in the latest technology startup? 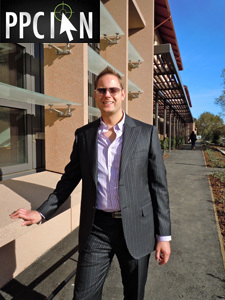 Not a big time venture capitalist nor angel investor? There’s another way! 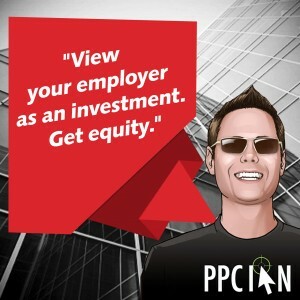 Get a job at that company, work incredibly hard, drive results, and get rewarded with equity. 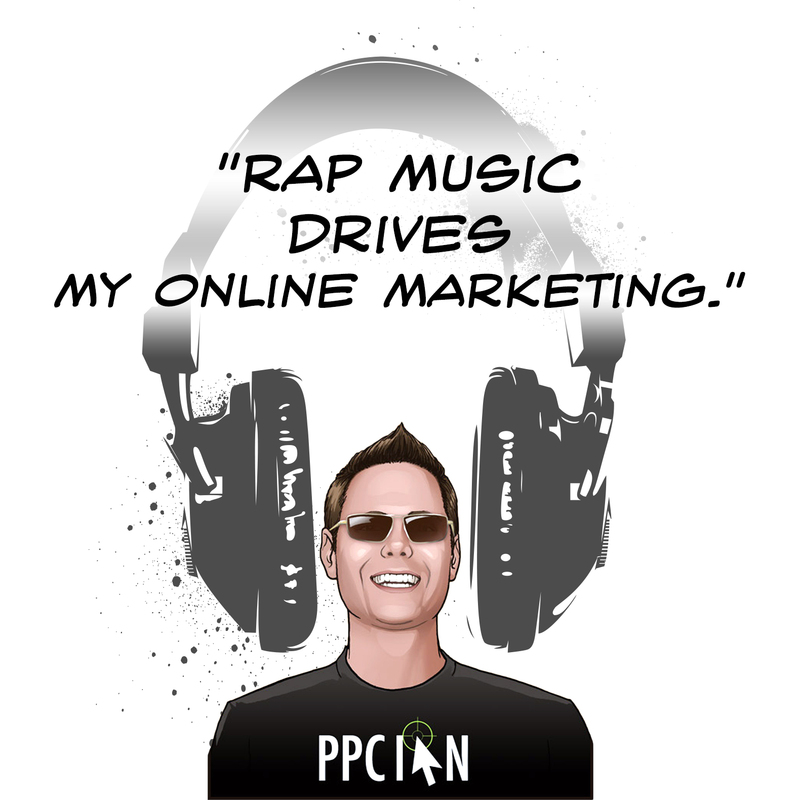 Quote 9: Rap music drives my online marketing. Anyone who has worked with me for a while knows that I’m passionate about rap music. Even if I haven’t mentioned my passion for rap, you have probably heard my loud headphones (or yours truly rapping along to the music). Just like running, I view online marketing as a sport. I approach digital marketing with energy and enthusiasm, and prefer rap music as the soundtrack. It’s no coincidence that I wrote a blog post here on PPC Ian back in 2009 called Rap Music Drives My Online Marketing. Quote 8: Thank business partners with holiday gifts. Be generous. It’s all about the people. Your greatest investment is your network. How do you show the important people in your life that you truly care? I’m a fan of thoughtful gifts. Whether it’s the holidays or another special occasion, please be kind and generous to those that matter. 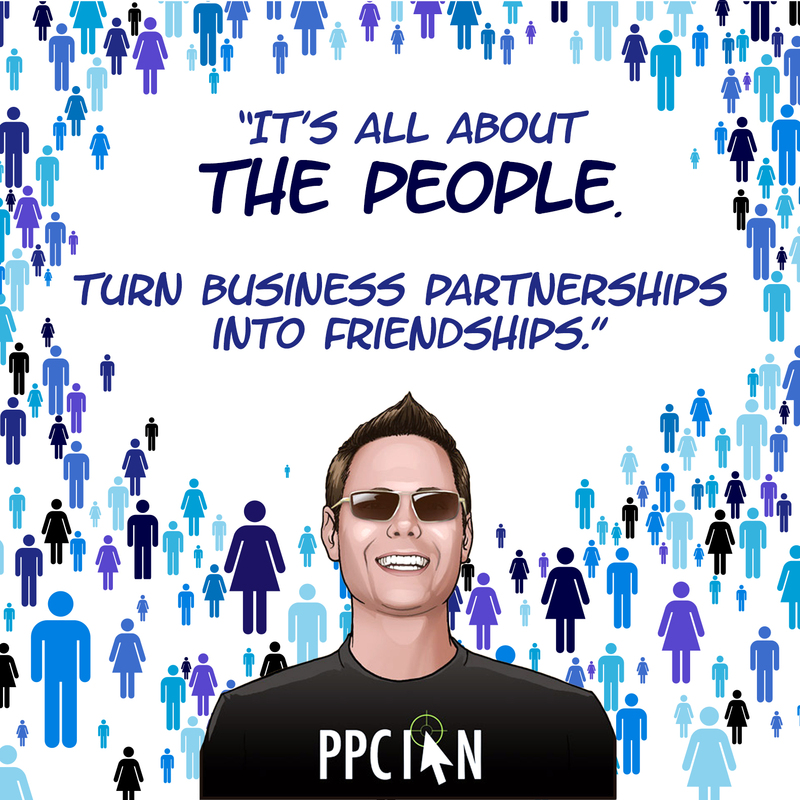 Remember that the best business partnerships turn into friendships. Quote 7: Go running. 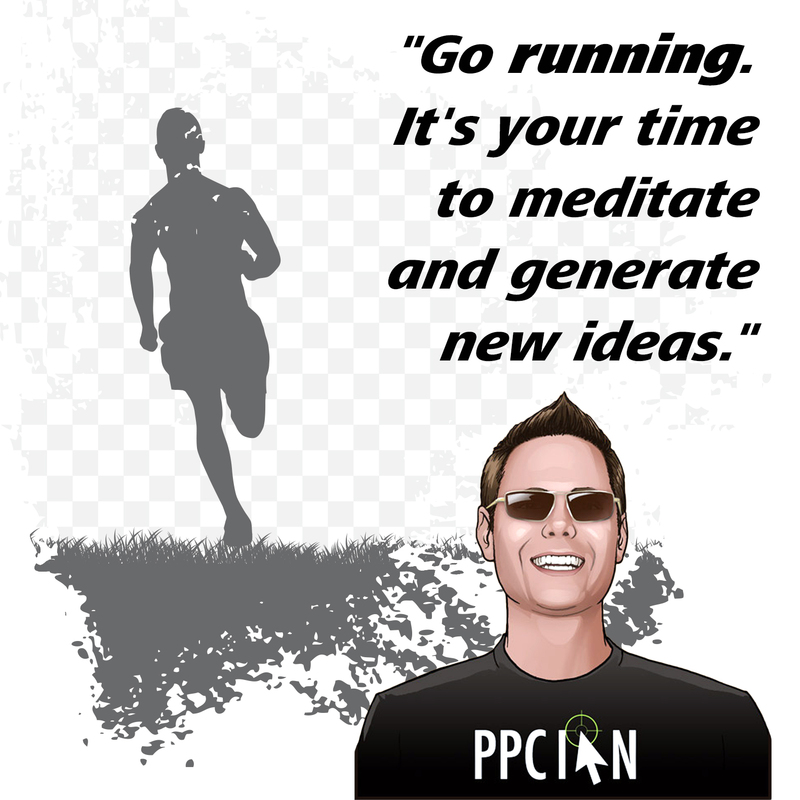 It’s your time to meditate and generate new ideas. As a business leader, you absolutely need to get out of the details. You need to take a step back and think strategically. 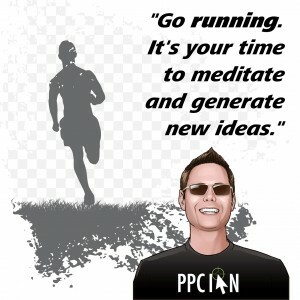 I personally find myself generating incredible ideas and thinking outside-the-box during long, 5-7 mile runs. Running helps me slow down time and focus within. For me, Running Is Clarity. Quote 6: If your business environment is not fun, make it fun. How much time do you spend at work? (I’m assuming it’s quite a bit.) We all work so hard these days, and we love what we do. There’s no other way to live than in a fun, vibrant business environment. The leader takes responsibility for the happiness and enjoyment of the entire team. Make your environment fun and amazing! 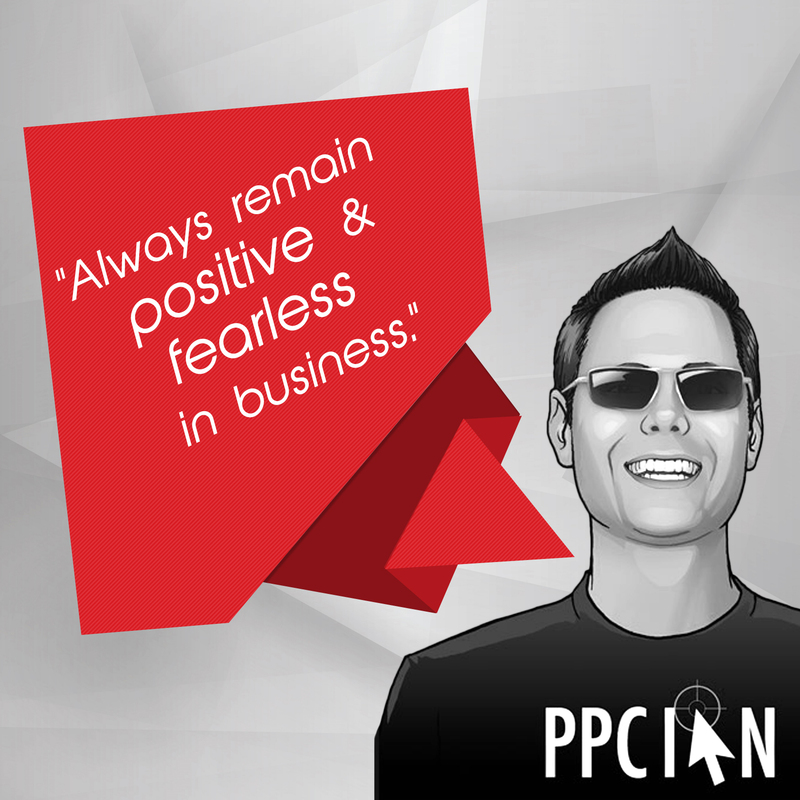 Quote 5: Always remain positive & fearless in business. Business is full of cycles and seasons. When you are in business long enough, you will witness periods of incredible growth and also periods of challenge. My advice is to embrace and learn from both. As a true business professional and leader, you always need to remain positive and fearless, making the best of every situation. In my opinion, there is a clear need for more great leaders, managers, and mentors. Challenge yourself to be the fearless leader that your team and the business community needs. Quote 4: Take team photos. It’s all about the people. Those that work with me know that I’m always taking photos! In the moment, I think the team photos can sometimes be annoying because I take so many of them. After the fact, however, everyone is always so incredibly happy. Team photos are the best way to capture those magical team moments. They are an incredible way to bond as a team, and make great gifts too (holiday gifts to team members and partners). 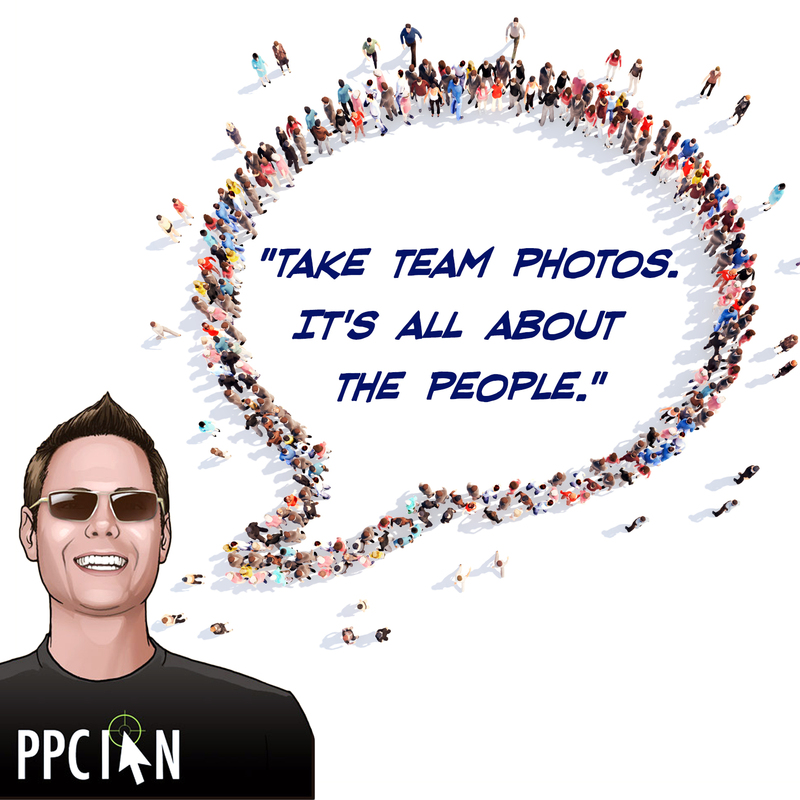 Next time you’re at a team lunch or activity, make sure to get a few team photos. Quote 3: It’s all about the people. 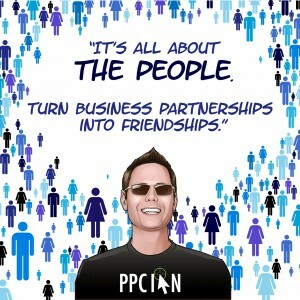 Turn business partnerships into friendships. I’m known as one of the more positive and personable leaders in business. I approach everyone as my friend. The word "vendor" is one I truly dislike. We all work so hard and we partner with such amazing people, why not make the best of these opportunities and form friendships? Whether you are partnering with people on your team, people in other departments, or external parties, approach everyone as a friend. Your business results and overall experience will be so much better for it! Quote 2: Invest in yourself. Carve out the time. Nobody else will. This blog is a living example of this quote, a byproduct of late nights, weekends, and tremendous hard work during time I really don’t have. I’m truly thankful I carved out the time because I taught myself so much about WordPress, writing, marketing, and business. Working on your own projects, in my opinion, supercharges your personal growth. This is precisely how you get ahead in business and life. You learn insights and lessons you simply cannot learn in your normal, corporate setting. The difficult part here is the time. 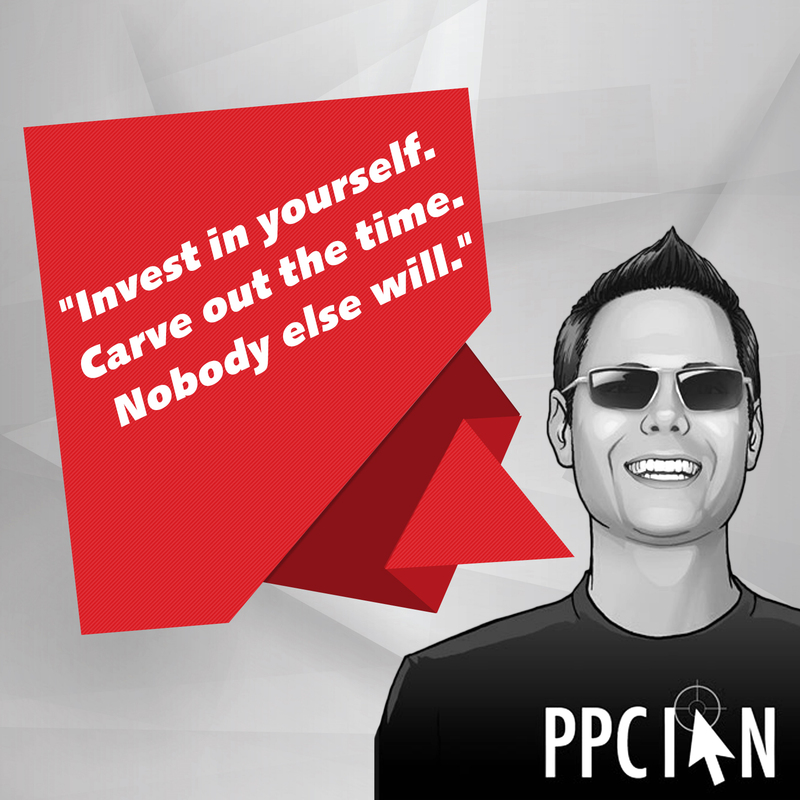 You absolutely need to carve out the time to invest in yourself. Perhaps your own investment is not a blog, but a fitness routine, a reading routine, community service, or something else. Whatever your goal, make sure to carve out the time and always put yourself first. While it may seem that you are taking time away from your career, your personal growth will actually accelerate your career growth. 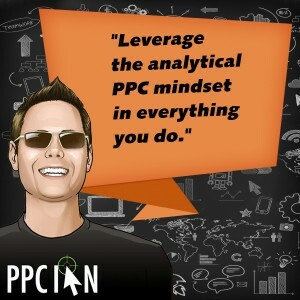 Quote 1: Leverage the analytical PPC mindset in everything you do. 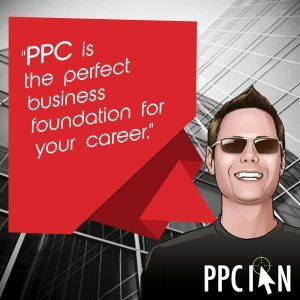 I believe PPC is the most amazing foundation for business. You learn such incredible dedication, creativity, analytics, and responsibility. While I’m not involved in too much day-to-day PPC anymore, I carry my PPC mindset and background everywhere I go. I recommend you do the same. Don’t have a background in PPC? I recommend learning the basics, even if you don’t plan to run campaigns, since it’s fantastic business background.